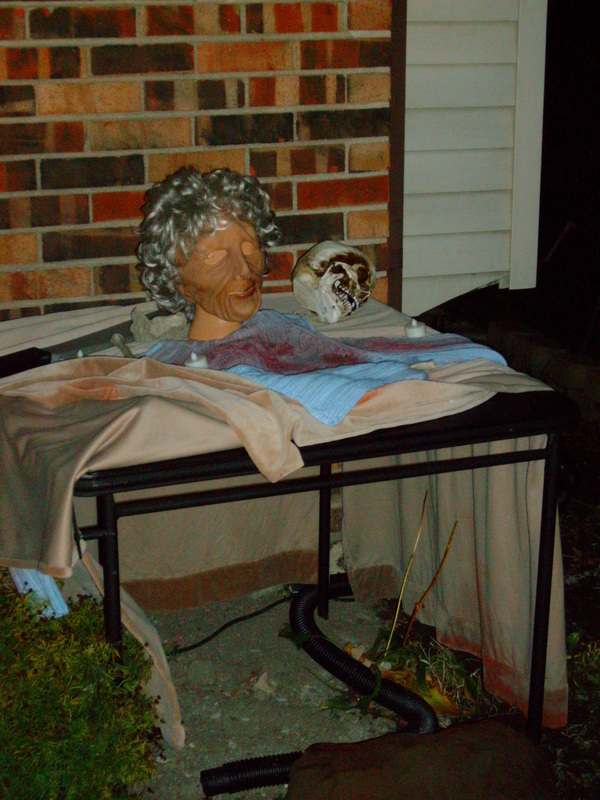 2012 was the first year for this yard display, which was located in the yard display rich city of Oak Forest. 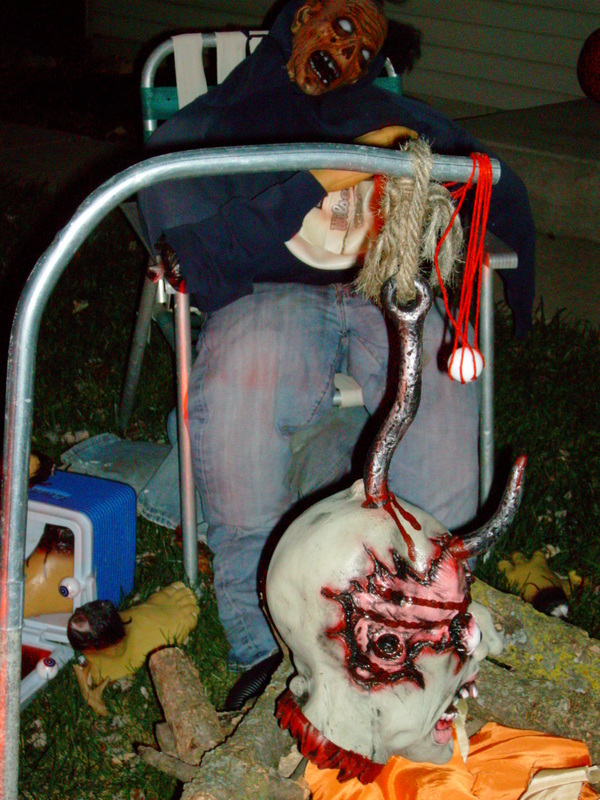 Oak Forest contains a lot of displays that are close together, including Franksenstein's Wedding, Nightmare on Newport, Graveyard on Roy Street and others, all of which can be seen in one night. Thus, another to add to the list is always welcome. 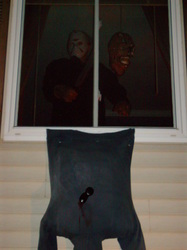 This display applied a clever twist to the ever-present Jason Voorhees figures one finds in many Halloween displays. This one puts Jason to very good use with a recreation of some scenes from the Friday the 13th movies as well as some original content. 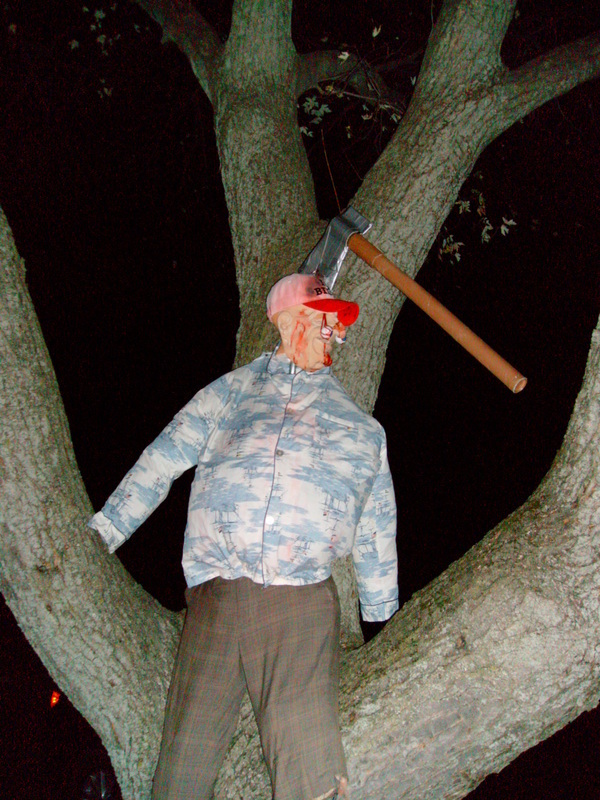 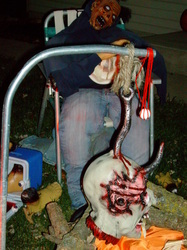 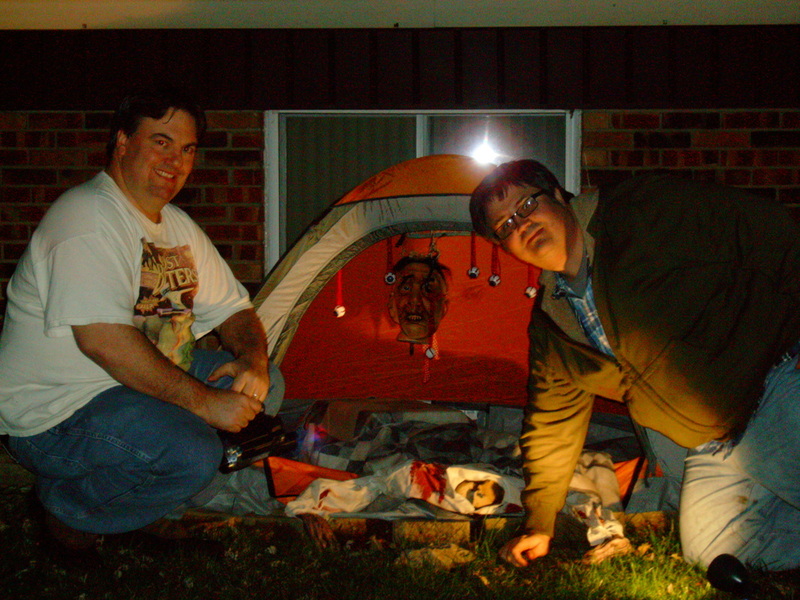 In addition to the standard camp fare like tents and a campfire, visitors can see movie specific scenes, like Crazy Ralph impaled on a tree with an axe as well as Jason's shrine to his mother, complete with severed head and blue sweater. Also well done is the placement of Jason - he is high up in a window, peering out over his domain, with a freshly killed body hanging underneath him. 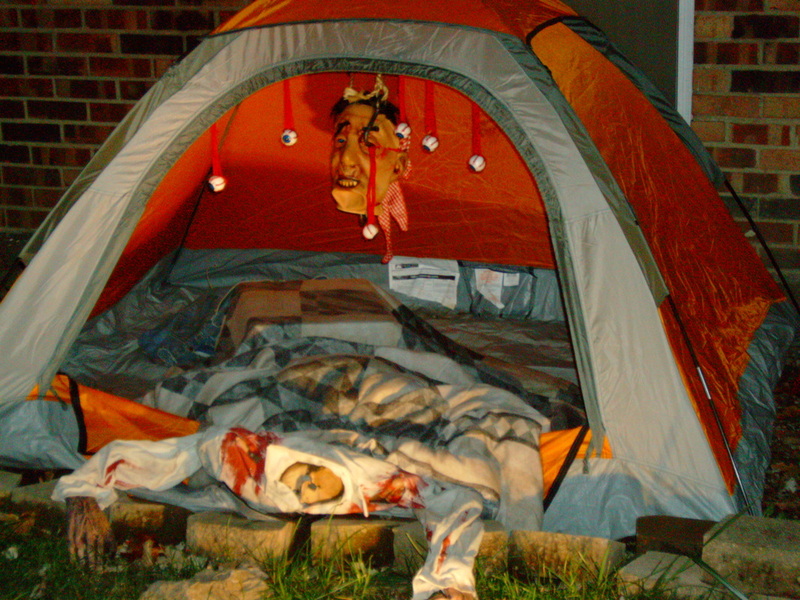 Although this display does not have a lot of props to see, what it lacks in quantity it makes up for in quality, with a new spin on Friday the 13th. 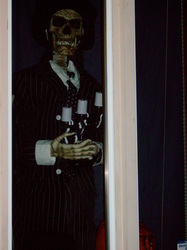 It certainly is worth taking a look when exploring the other haunts and displays in Oak Forest.